The sovereign nation of Israel has been a fact my entire life, so it’s hard to think of Israel as a “new” country. But in fact it is very young, established by U.N. mandate in 1947, a hotly debated issue that counted among its champions U.S. President Harry Truman and Great Britain’s Winston Churchill. 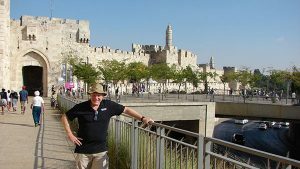 I reached “retirement age” just last year, but Israel reached it only a few years before me. Thus the modern cities, factories, and high-production farms have been carved from the desert in just 71 years. If we use the same calendar, Israel’s history as a nation might be compared to the United States in 1847. And yet the nation of Israel has achieved a hard-earned retirement. Sure, a decade before I was born folks on our West Coast feared a Japanese invasion, and I lived through the Cold War, when building bomb shelters was fashionable. However, in real perspective, the last time our United States faced imminent conquest was when the British sacked and burned our new Capitol of Washington in 1814. The nation and people of Israel have faced such an unimaginable threat since 1947. They live with it and deal with it on a daily basis…and yet they continue to develop, build, and prosper. In the Marines, and I think in all U.S. forces, most of us with long service hold a special respect for the Israeli Defense Forces (IDF) and what they have accomplished and maintained since 1947. So I was curious to see this young nation, and see first-hand what makes it tick. 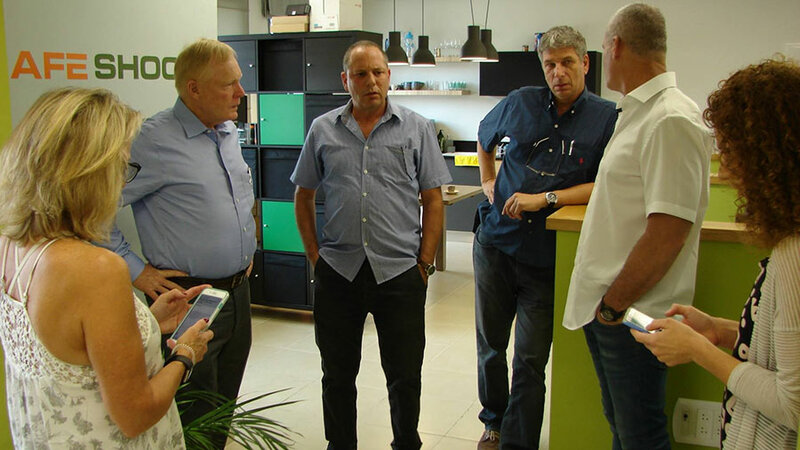 This is hard to encapsulate, and of course impossible to really envision in one brief visit, but what can be seen is the “can do” frontier spirit, the willingness to dare, to explore, to innovate, now transferred in part to the world of modern business, in which Israel is a leader in patent applications and startup enterprises. 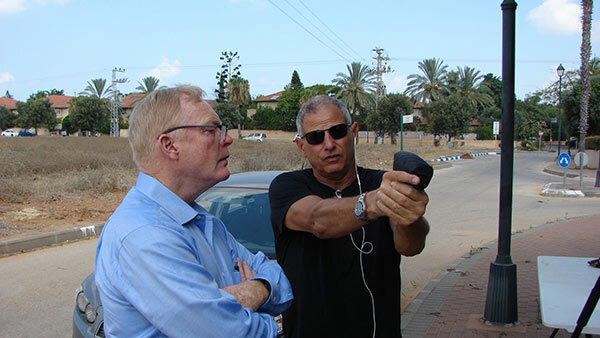 We were there to spend time with our friends at SafeShoot, great people, the principles all experienced IDF veterans, of course. They showed us how, in an amazingly short time, their product has progressed from concept to design to prototype, to irrefutable demonstration, and to manufacture in the most amazingly modern production facility I have ever seen. This is how today’s Israelis do business! And yet they are conscious that they are stewards of an ancient land held in reverence by the world’s major peoples and religions. So, in whirlwind fashion, in addition to 21st Century technology they made sure we saw thousands of years of history: Jerusalem, Nazareth, the ancient port of Jaffa, and the Roman city of Caesaria. And, just to put a point on the newness and origin of their nation, we spent quiet hours in the Holocaust Museum, and the Friends of Zion Museum, where I learned history overlooked in my schooling. Many of us, I think, desire to see the Holy Land, and we should…but what we, as people of western civilization who cherish our freedom, really need to see is the true miracle of Israel. I look forward to seeing more! Coming from Montana I learned about Israel from Sunday School and the news. That’s not the Israel I saw when visiting my friends at SafeShoot HQ. Yes we enjoyed hummus and holy sites but what I took away is it is why Israel and the US are great friends. We are both nations of gritty pioneers, adaptors and tenacious innovators. I met brilliant investors, scientists, engineers and marketers. With an amazing number of startups, I subscribe to the philosophy that the entrepreneur is today’s pioneer in Israel. I happen to think it is true in the US as well. I’d encourage all Americans to visit Israel but don’t just look at her history. Her future is just as interesting. It was our great pleasure to have Craig & Donna Boddington and Conrad Evarts to be our guests in Israel. The purpose of their visit was to meet the SafeShoot Advisory Board, management and team. They participated in a live demonstration of SafeShoot devices and learned a great deal about SafeShoot’s development and capabilities. We also visited Flex Ltd, an American multinational technological manufacturer, which will produce the first batch of SafeShoot commercial devices. We know that the unique SafeShoot device will add another layer of safety and a positional tool for serious hunters in the United States. We have great and supportive friends in the US.